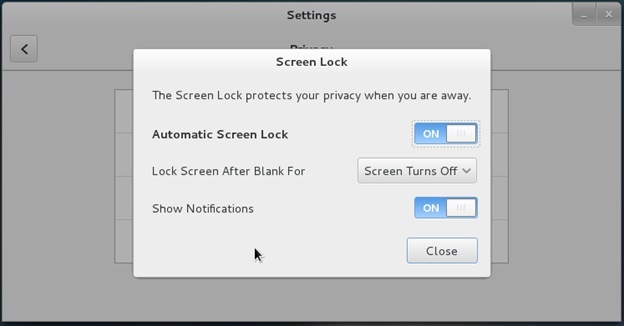 In GNOME 3.X The screen lock time setting is set either to 1 minute 15 minutes or NEVER. Once you set the value to a different than the 3 recognized ones would show in GNOME Control Center as Never (depending on the distro). As an ex-Windows user I'm still addicted to Windows User brainwashing as an ex-victim of Windows 95 / 98 and XP:), so I tend to love very much and its still hard for me to forget some major Key Binding (Windows Key Combinations). 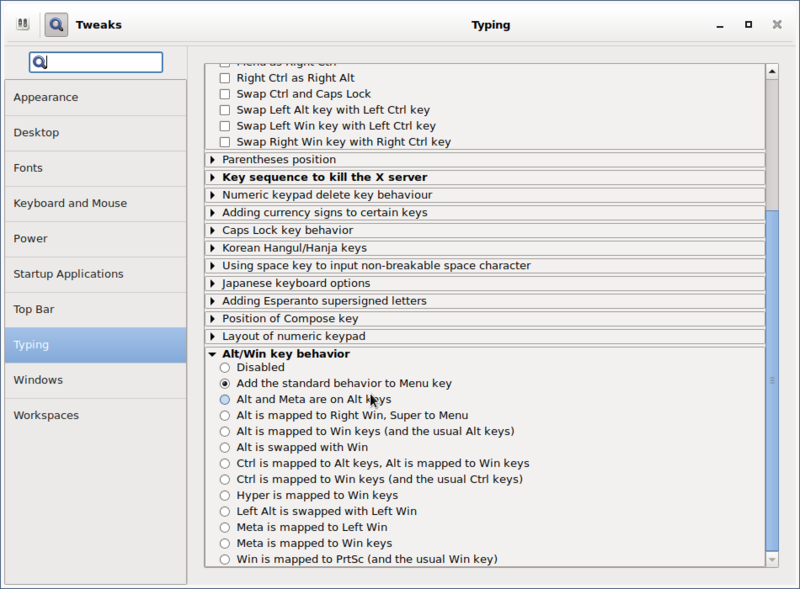 On every new Desktop Linux I install, I have the habit to configure few great key combination shortcuts that makes my digital life much easier. 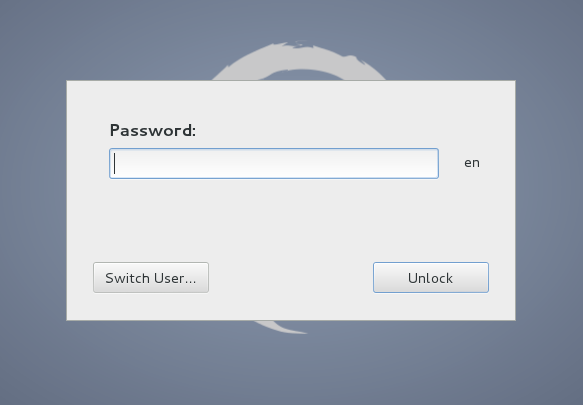 I use usually as a graphical environment GNOME and recently switched to MATE (GNOME 2 fork, cause GNOME 3 is totally messed up and unworthy to me), that's why this article is targetting this two Linux GUI envs, I'll be glad to hear in article comments for any other useful key bindings and how to configure similar key bindings for other Major Linux graphical environments (Cinnamon, KDE Plasma, XFCE, LXDE). Also it is possible to remap keys via dconf-editor, I've written a small article earlier explaining how to remap Screenshotting buttons with dconf-editor but the example could be easily adapted, so you can edit almost everything. Howdy! I thought that it would be useful to post a practical selection of shortcut keys for GNOME (the Desktop Environment) and Nautilus (the File Manager) and some information about customizing shortcut keys in Ubuntu. I wrote it especially for Ubuntu beginners, but I hope it will prove useful for all. Ctrl-Alt-D: minimize all windows, and gives focus to the desktop. Alt-Tab: switch between windows. When you use these shortcut keys, a list of windows that you can select is displayed. Release the keys to select a window. Ctrl-Alt-Tab: switch the focus between the panels and the desktop. When you use these shortcut keys, a list of items that you can select is displayed. Release the keys to select an item. Quite dangerous key combination because many of us are used to press these keys in order to open a new tab. Because we all delete items using the Delete key, I recommend to deactivate this shortcut key. To do that, go to System » Preferences » Appearance » Interface. 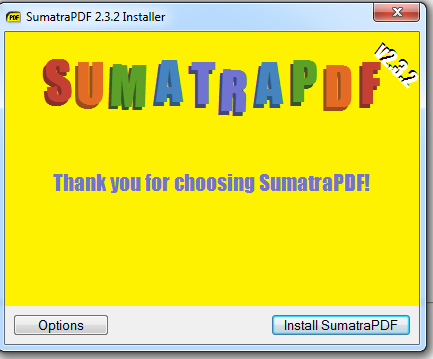 Select Editable menu shortcut keys and close the dialog box. Click on the Edit menu in the File Browser. 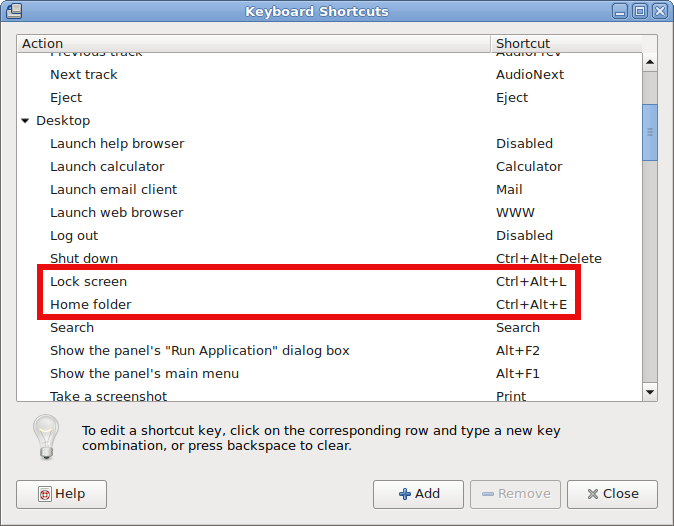 Click the Empty Trash item (it has Ctrl-T as the keyboard shortcut) Press the Delete key to get rid of the shortcut. As an example, we will set a lock-screen shortcut. Open "gconf-editor" as the user as you're logged in in GNOME (typing gconf-editor in the terminal or "Run Application"). Here we have a list of twelve slots for commands. In Key Value Type in the name of the application or command you want to launch (e.g. gnome-screensaver-command –lock). Change the key value to whatever key combination you like (e.g. <Ctrl><Alt>L).Press "Ok". Click the action in the list and press Enter. Locking the PC while going for a coffee break, Lunch or toilet is longly used to secure physically your PC display from spying eyes or prevent you from someone to install a spying software or leak private data from PC HDD to an USB drive. So how to do Lock Screen on Linux? CTRL + ALT + L.
Locking the screen is done (depending on the Linux distribution) by using by either using historically famous XScreenSaver if non-gnome / KDE graphical environemnt is used or if in Linux Gnome GUI with gnome-screensaver and on KDE desktop manager with kscreenlocker. Nomatter whether with GNOME or KDE its worthy mention that xscreensaver is more Screensaver rich than kscreenlocker and gnome-screensaver as it includes about 200 different Screensavers making screen nice to watch when you come back from a lunch. Choose "Keyboard & mouse" (on "General" tab). Choose "Global Keyboard Shortcuts" on the left. Choose "Run Command Interface" from "KDE component" dropdown list. Click on "None" (button changes to "Input…"). Compose your desired sequence by pressing appropriate buttons on your keyboard. If you're using actively Linux or FreeBSD on Desktop PC and experimenting with software, taking personal notes, developing software for Linux, writting documentation, participating in free software community etc., you will certainly need use screenshot heavily. 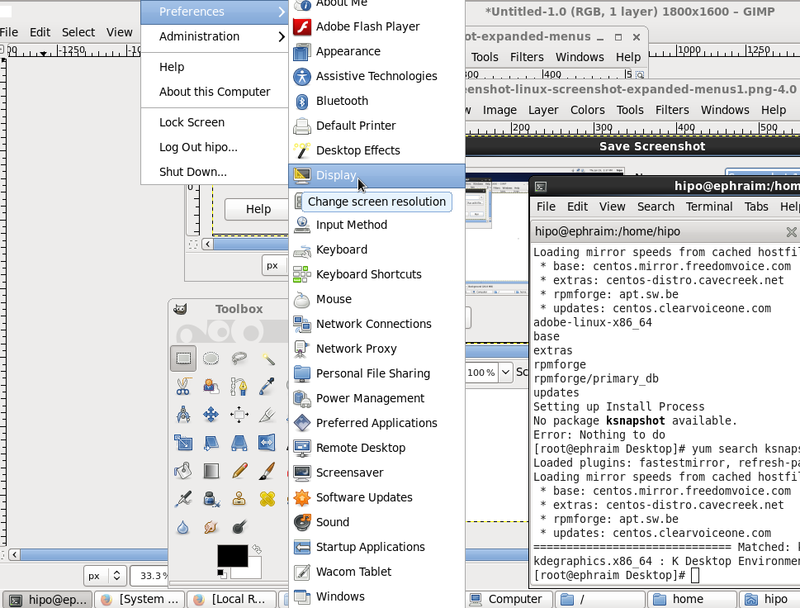 As with everything in Linux, there aremultiple ways to make screenshot of expanded Linux menus. Make timed screenshot of the screen scheduled to screenshot after a set number of seconds. To not spend time running it from gnome-terminal (in GNOME desktop), press Alt+F2 (simultaneously) and use the Run Application command shortcut. This will instruct Screenshot utility to wait for 5 seconds before capturing your desktop this should be enough time for you to go to navigate to expanded menu which you want to get screenshotted. 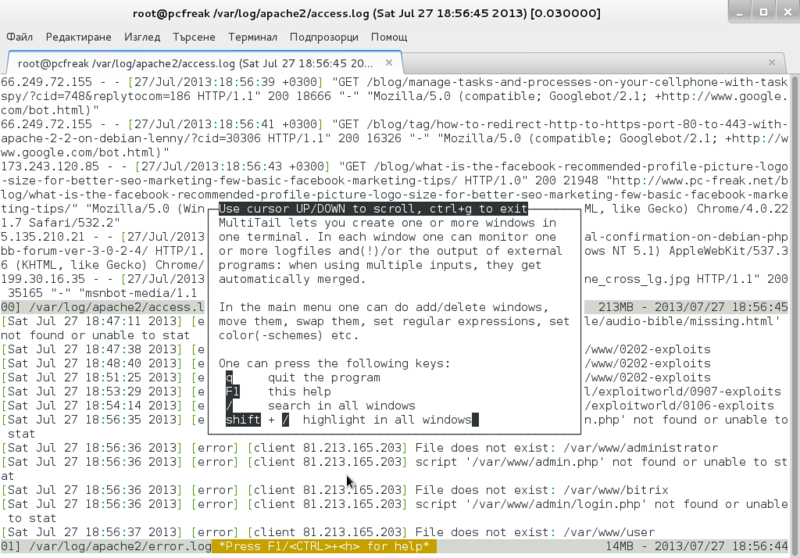 (If you're wonderhing what kind of Linux is on screenshot – this is Trisquel – Run Free! GNU / Linux. It is a Spanish distribution focused on providing 100% free software in it – without proprietary firmware or software. Trisquel is based on Debian and uses the dpkg / apt-get package managers. 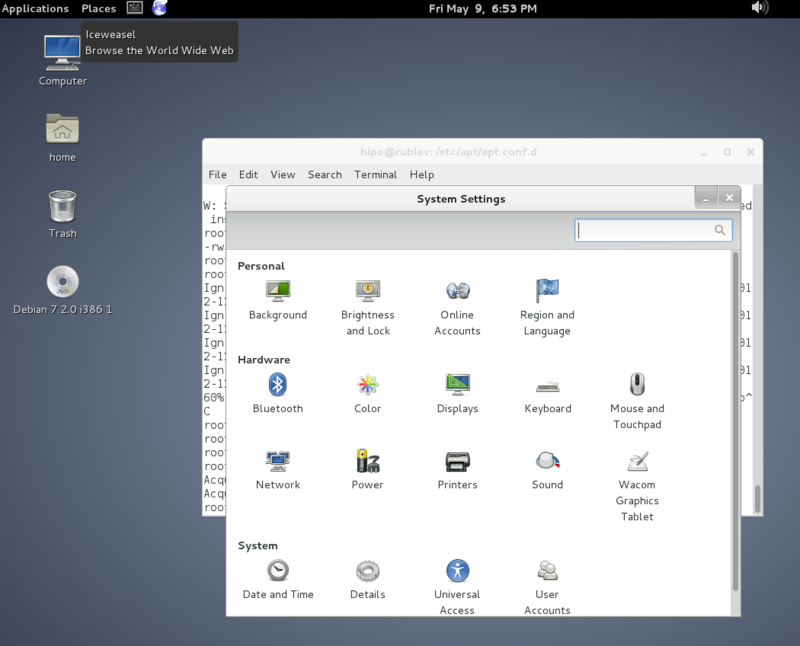 Trisquel is a recommended Linux to use by Richard Stallman and The Free Software Foundation). Screenshot will be prepared on $HOME/Desktop, after set time. Huge part of people professions nowadays includes being in front of PC Screen for almost a day. Staying on computer is addictive and even after job is done many people came back in front of the PC screen to play some games or just read something. Many might not know that this computer hanging is a costly thing as it slowly reflects negative our health and living balance. For geeky people who work in IT profession the threat is even bigger as we ITs tend to spend even more time in front of computers. The risk therefore for catching RSI (Repetitive Strain Injury), whether you have to deal with computers daily is very real. Repetitive strain injuries (RSIs) are "injuries to the musculoskeletal and nervous systems that may be caused by repetitive tasks, forceful exertions, vibrations, mechanical compression, or sustained or awkward positions"
For more on RSI check out Wikipedia Article here. Thanksfully RSI is possible to reverse as well as prevent by giving regular breaks from computer screen on timely base and even can be configured to limit time you will spend on the PC. 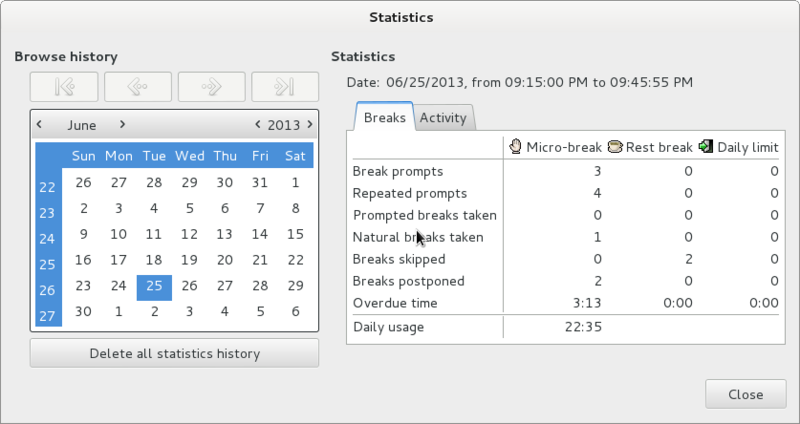 Just recently I found out about existence of Workrave – program which helps you in reminding, when you have to give breaks from computer and makes you limit yourself on how long you use the PC. 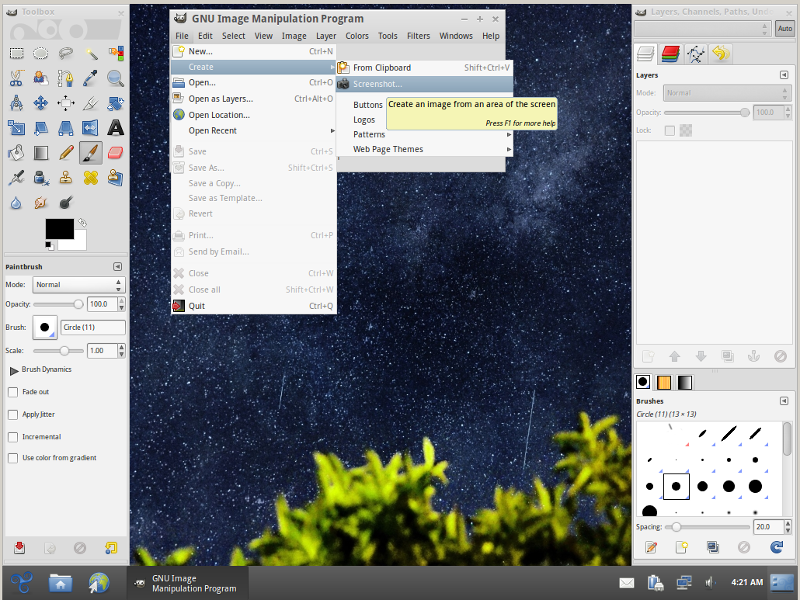 Workrave is available for both Windows and Linux OS. 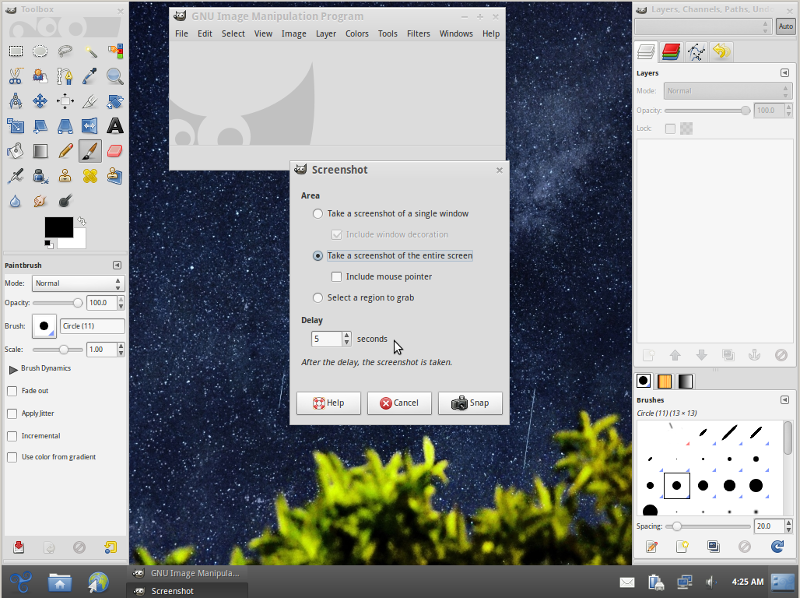 Once launched Workrave applet appears right on in GNOME main panel. 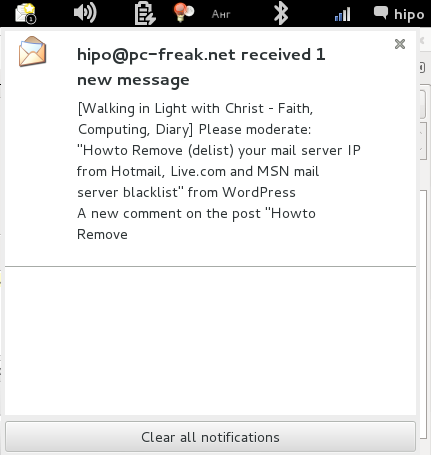 Below is screenshot of it. Workrave includes reminder with neck movement exercises, which if followed can severely de-stress and keep your neck healthy.